A motorist who reversed along a dual carriageway after missing his turn-off and smashed into an oncoming car during rush hour has been banned from the road for two years. Steven Bruce drove backwards along the A9 trunk road for around 50m in a manoeuvre described as “one of the most dangerous things ever seen”. Sheriff Keith O’Mahoney also ordered him to carry out 120 hours of unpaid community work and placed him on a curfew from 8pm to 6am every day for four months. The sheriff told Bruce yesterday: “I view this to be a very serious dangerous driving charge, involving you reversing the wrong way down the dual carriageway simply because it seems you missed your intended exit. Bruce admitted coming to a halt on the A9 trunk road after missing the slip road he planned to take, before heading backwards into oncoming traffic. 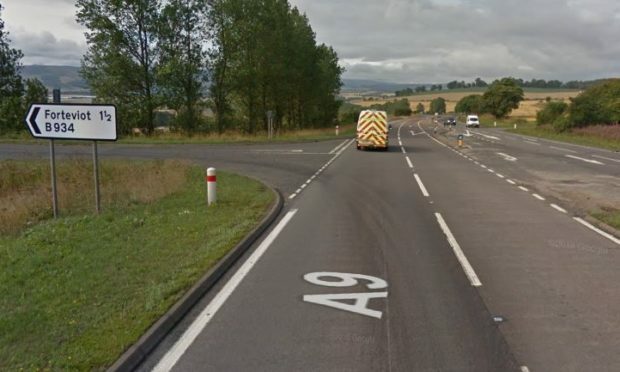 Bruce, of Tweed Crescent, Dundee, admitted driving dangerously by reversing along the A9 dual carriageway in the direction of oncoming traffic, and hitting another vehicle and damaging both. “Another driver remained stationary in the central reservation, awaiting a gap in the traffic to cross. As the first witness crossed the southbound lane, she suddenly became aware of the accused reversing the wrong way on the dual carriageway. Solicitor Pauline Cullerton, defending, said: “He has quite rightly accepted responsibility for this offence and in his own words this morning this was the worst decision of his life.